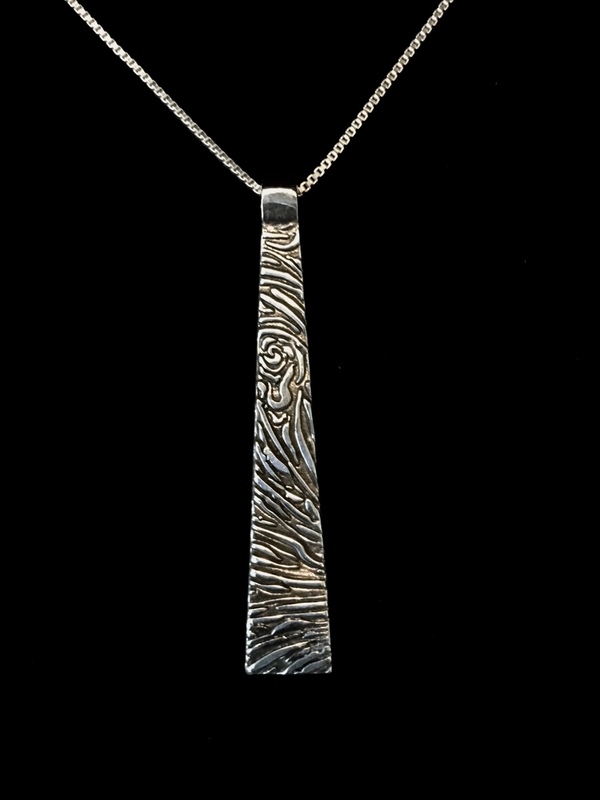 This simple obelisk pendant of .999 fine silver is 9 grams total weight. It’s perfect for everyday wear. Comes with a 20 or 22 inch sterling box chain.